Arjuna said: O Krishna, what is the destination of the unsuccessful transcendentalist, who in the beginning takes to the process of self-realization with faith but who later desists due to worldly-mindedness and thus does not attain perfection in mysticism? 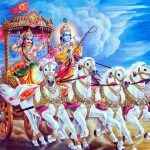 The path of self-realization or mysticism is described in the Bhagavad-gita. The basic principle of self-realization is knowledge that the living entity is not this material body but that he is different from it and that his happiness is in eternal life, bliss and knowledge. These are transcendental, beyond both body and mind. Self-realization is sought by the path of knowledge, by the practice of the eightfold system or by bhakti-yoga. In each of these processes one has to realize the constitutional position of the living entity, his relationship with God, and the activities whereby he can reestablish the lost link and achieve the highest perfectional stage of Krishna consciousness. Following any of the above-mentioned three methods, one is sure to reach the supreme goal sooner or later. This was asserted by the Lord in the Second Chapter: even a little endeavor on the transcendental path offers a great hope for deliverance. 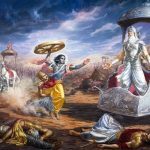 Out of these three methods, the path of bhakti-yoga is especially suitable for this age because it is the most direct method of God realization. 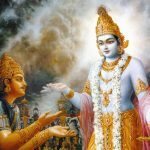 To be doubly assured, Arjuna is asking Lord Krishna to confirm His former statement. One may sincerely accept the path of self-realization, but the process of cultivation of knowledge and the practice of the eightfold yoga system are generally very difficult for this age. Therefore, despite constant endeavor one may fail, for many reasons. First of all, one may not be sufficiently serious about following the process. To pursue the transcendental path is more or less to declare war on the illusory energy. Consequently, whenever a person tries to escape the clutches of the illusory energy, she tries to defeat the practitioner by various allurements. A conditioned soul is already allured by the modes of material energy, and there is every chance of being allured again, even while performing transcendental disciplines. This is called yogac calita-manasah: deviation from the transcendental path. Arjuna is inquisitive to know the results of deviation from the path of self-realization. You have said that yoga can be attained by a person who endeavors through practice and detachment. What happens to the person who does not endeavor, who does not practice, and does not have detachment? He puts in only a little effort (ayatih). He starts the practice of yoga with faith in the yoga scriptures, and is therefore not an imposter. But, he deviates from yoga, for his mind turns to objects of enjoyment because of lack of practice and detachment. Thus he does not attain complete perfection (samsiddhim). But he has attained some results, since he has begun the stage of practice, after the stage of aspiring for yoga. 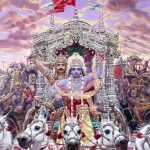 6.37 – 6.39 Arjuna said — What way does he go, who has embarked on Yoga endowed with faith, but who by inadequacy of exertion in practice, does not gain success in Yoga and has his mind wandering from Yoga? Does he not perish like a small piece of cloud torn from a large mass of cloud — perish without reaching another large mass of cloud? Now does he not fall away from both (sides)? He has no support and is confused on the path leading to the Brahman. He is without any support in the sense that Karma or rituals which constitutes the means of heaven etc., does not give support for a person who is devoid of attachment to fruits; for Karma is the means for generating its own fruits. He is also confused in the path leading to the Brahman on which he has just begun to traverse; He has lost his way. Does he then get lost by falling down from both sides, these being attainment of heaven on the one hand and liberation on the other. Does he not thus perish? You should remove this doubt altogether from my mind; for there is no other remover of this doubt than You, who always perceive directly all matters simultaneously. What is the destination of one who fails to achieve atma tattva or realisation of the soul, due to inability to cultivate dispassion and practice of meditation? Where does one end up who in the very beginning was endowed with firm faith and practice but later due to weakness of mind, cessation of practice and attraction to sense gratification was unable to achieve realisation? This is the meaning of the question submitted to Lord Krishna. The word ayatih means one who does not earnestly endeavour. The special meaning Lord Krishna is giving is denoted by the word ayatih or one who does not endeavour by the regulated practice of meditation or contrarily one who abstains from the practise of meditation that was already begun. The words aprapya yoga-samsiddhim mean without achieving the complete potential of yoga or the science of the individual consciousness attaining communion with ultimate consciousness. Although for the word yoga there is the established meaning, perfection in meditation is the inferred meaning here. Thus failure in perfecting meditation is not contradictory. Now the question arises. 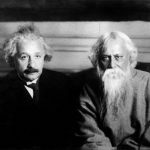 What happens to a practitioner of yoga or the science of the individual consciousness attaining communion with the ultimate consciousness who becomes established in yoga with firm faith experiencing some realisations but later in life due to negligence and lethargy in their practices fail to achieve perfection in yoga? This could also be due to being unable to control the mind and thus incapable of controlling the senses with their passions. Such an aspirant although practising and endowed with faith does not have by the potency to maintain the process and therefore the mind is diverted into pursuing the objects of the senses and thus deviated from yoga at the crucial time of death. What will such a persons destination be who like this fails to reach the goal of moksa or liberation after commencing the yoga in life. This is the question being beseeched for Lord Krishna to answer. 6.37 O krsna, aprapya, failing to achieve; yoga-sam-siddhim, perfection in Yoga, the result of Yoga, i.e. full Illumination; kam gatim, what goal; gacchati, does one attain; who, though upetah sraddhaya, possessed of faith, belief in God and in the other world; is ayatih, not diligent, devoid of effort on the path of Yoga; and, at the time of death, too, calita-manasah, whose mind becomes deflected; yogat, from Yoga, (i.e.) whose memory has been lost? arjunaḥ uvāca — Arjuna said; ayatiḥ — the unsuccessful transcendentalist; śraddhayā — with faith; upetaḥ — engaged; yogāt — from the mystic link; calita — deviated; mānasaḥ — who has such a mind; aprāpya — failing to attain; yoga-saḿsiddhim — the highest perfection in mysticism; kām — which; gatim — destination; kṛṣṇa — O Kṛṣṇa; gacchati — achieves.